Blockchain-based mobile advertising is still a novelty for the ad tech market. The early solutions, however, promise the drastic changes for the ecosystem: the middlemen reduction, fraud removal, and transparency for every participant. Experts predict that by the end of 2021 Mobile Marketing Market worth will reach 98.85 billion dollars. Mobile advertising is on the radar of media-buyers, marketers, and app developers who monetize their mobile apps with ads as only 20% manage to achieve their ad campaign goals. Several problems are plaguing the sphere of digital advertising at once: ad fraud, inflated prices, commissions, insufficient transparency considering information origins, and income distribution between suppliers and providers. 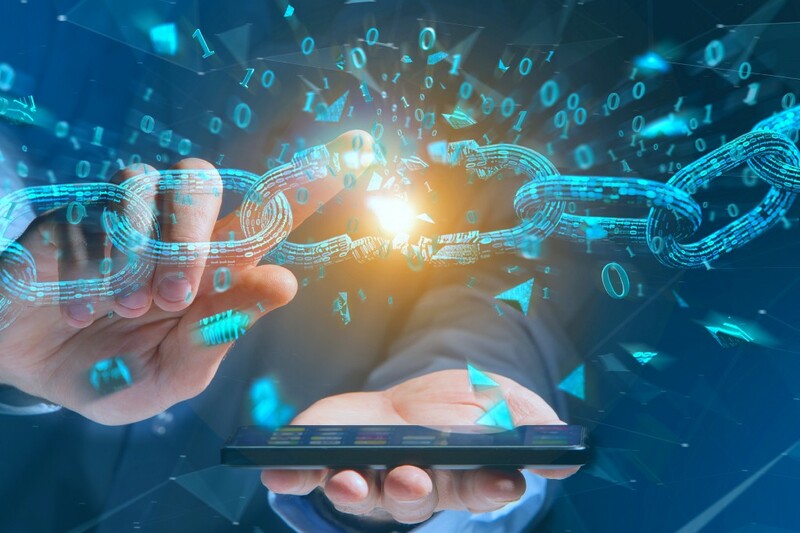 New technologies such as Blockchain are already changing the regular programmatic advertising, but, will the same be achieved in the fundamentally different mobile environment? Fraud. The National Association of Advertisers (ANA) published official statistics, according to it the total damage from advertising fraud in 2017 reached $ 7.2 billion, which in rough calculations accounted for 60% of the total budget spent on digital advertising. According to preliminary estimates, the botnet called Methbot caused the largest damage to ad market in history faking up to 300 million video ad views per day in 2016. Bot farms like this perform clicks, simulate the ad views, website navigation, and human behavior in general. The problem with fraud is not limited to this, it typically involves transactional issues, installs hijacking, and fraud on mobiles. Even though for a long time, fraud has been mainly associated with desktop advertising, around 30% of fraudulent traffic already comes from mobiles. Commissions and transparency. With an enormous amount of participants taking part in ad selling and purchasing, programmatic may seem way too complicated. Media agencies, Ad exchanges, DSPs, SSPs, Ad networks, DMPs, and ad tech providers make a long commission-dependant pipeline of intermediaries. Stripped of all fees, the sum transferred from advertiser to publisher for serving the ad barely reaches 30% of the total budget. Some say the ad market is owned by Google. This statement is close to reality taking into account the media giant is trying to up the game with trust, acting like traffic quality arbitrator. Frightened by the perspective to deal with low-quality traffic, advertisers are pushed to pay the traffic quality arbitrators in order to guarantee their ads are served to real people. Will Blockchain help mobile advertising? Without digging through the details, which blockchain technology is brimming with, let’s uncover the basic principles: blockchain is more reliable than traditional databases because information is not stored on servers of the company, it exists on every computer of the chain simultaneously. Thus, It will not stop working even if several computers are hacked. In the blockchain core, the information is formed as a sequential chain of blocks containing records, each of which has a unique key. Existing blocks cannot be removed or altered after the confirmation — the system simply will not accept the changes, it is recorded once and for all. Any entry in the blockchain is approved by all members of the network that makes unauthorized actions or hacks practically impossible to occur. As all information can be stored in the blockchain: sales, contracts, dates, transaction details, etc., it will guarantee the total transparency of operations including commissions. As well, it will eliminate the number of intermediaries standing between mobile publishers and advertisers offering a convenient token exchange. The first blockchain ad tech startups popped up on the market several years ago, these projects promised to decentralize the digital advertising market fairly quickly. Recently, the market embraced the first mobile ad platforms based on tokens, many of them are regularly represented on TechCrunch Startup Alley. Utilizing such solutions, the application developers and app marketers will be able to monetize their apps with utility tokens without having to attract intermediaries. The users, in their turn, will be free to choose which ads to watch and receive tokens from advertisers for the views. The utility tokens are automatically credited after the action is confirmed. The gained tokens on the platforms can be used for content purchasing, financial operations with distributors and users. When it comes to transparency considering information origins, the question is also easily investigated: the period of data collection, the supplier of such data, and other details are quickly tracked down in the system. In case one party reveals the attempt of fabrication it makes it easier for the other to find out and cease the future collaboration. The blockchain advertising is still in its infancy and the mobile sector is also hanging out somewhere near the starting line. The mobile ecosystem represents a highly potential environment for advertisers as the user attention inside the apps is not dispersed on website elements, such as, other ad units that compete for the website’s space. The mobile developers along with media buyers have the opportunity to render the user experience in mobiles better as playable and rewarded ads, for instance, allow to track the history of interaction and optimize towards higher conversion. The latest market players’ infatuation with mobile advertising will contribute to increased funding of the platforms and sector growing, as a result, any time soon. The nomenclature and taxonomy that regulates the framework of technology functioning in ad tech, however, is still under construction. Without developed legislation, it’s difficult to bring the majority of highly-promising mobile blockchain-based ad tech projects to the market. Nevertheless, the process was significantly activated in 2017, when the IAB’s blockchain working group started functioning. The purpose of this initiative is developing standards and best practices for technology implementation in ad tech. It is expected that in a few years the market will see the rise of blockchain advertising and app developers, advertisers, and marketers will finally work in a fraud-free and transparent ecosystem. Mobile Advertising Moves to Blockchain: Changes to Expect was originally published in Hacker Noon on Medium, where people are continuing the conversation by highlighting and responding to this story.